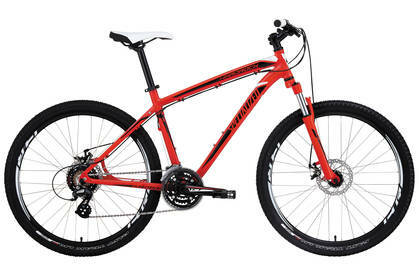 Among mountain bike enthusiasts, the Specialized Hardrock mountain bike is a trail bike that provides both the beginning rider and the more experienced mountain bike enthusiast with a comfortable ride and unparalleled stability. If you like mountain biking, then the equipment you choose is definitely instrumental to your enjoyment of the sport. 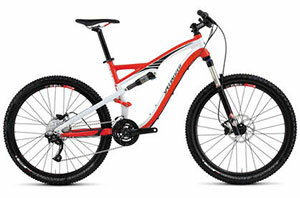 That’s why you will particularly like riding the Specialized Camber FSR Expert Mountain Bike – an elite model MTB that takes into account a number of riding styles and abilities. In fact, the bike is able to handle cross-country riding as well as rides over rocky, difficult, terrains. Use it on downhill courses too or for practicing aerial stunts. Simply said, this Specialized Camber mountain bike is one bike that can be relied on time and again, whether you are practicing jumps or merely cruising over a smooth stretch of pavement.